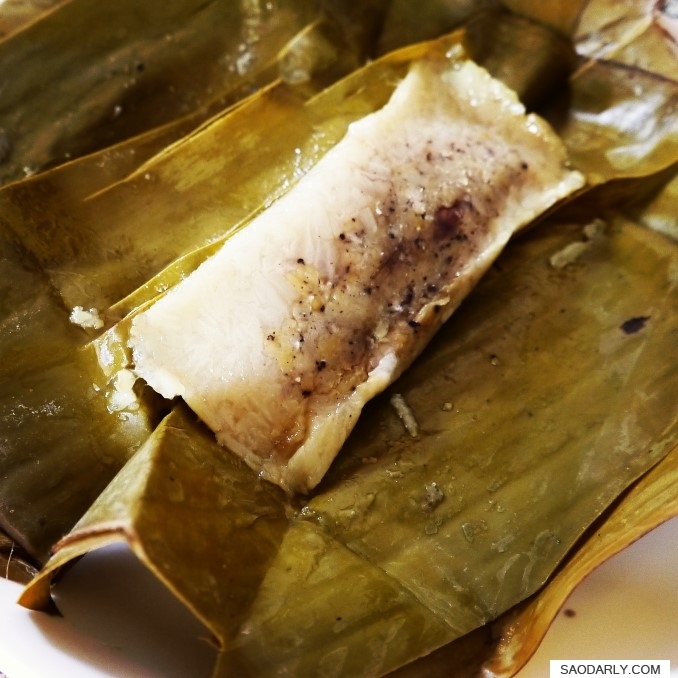 Khao Tom Mat (Steamed sticky rice wrapped in banana leaf) for breakfast in Vientiane, Laos. 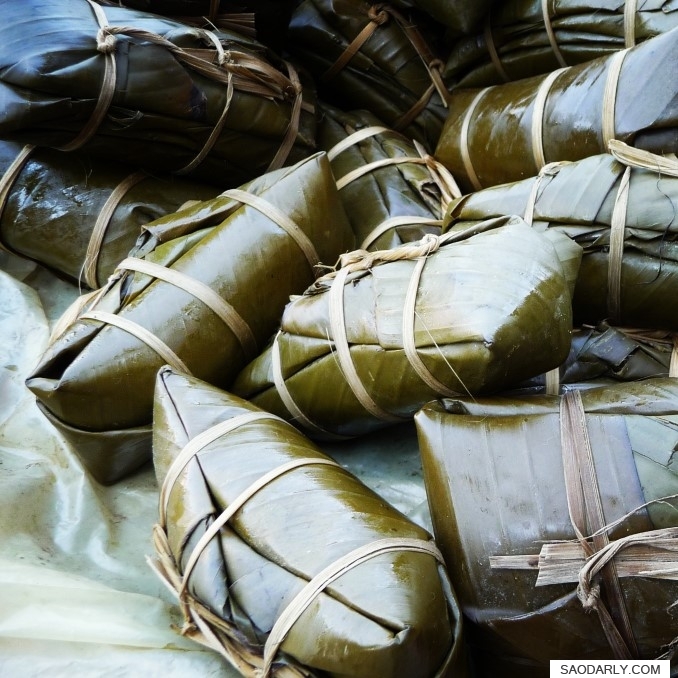 It has minced pork and mung bean fillings with a touch of black pepper. My two aunts were too busy and didn’t have time to make this delicious treat for me during my visit in Laos. I was having a craving for Khao Tom Mat and bought a few of them from a street food vendor. I have only eaten this type of Khao Tom a few times in my life and all of them have been in Laos.